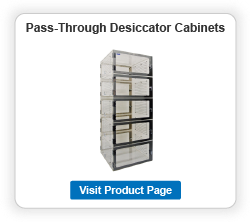 Cleatech’s Pass-Through Desiccator Cabinets can be installed in a cleanroom or inventory room wall or can be positioned between two aisles in assembly rooms allowing access to stored materials from both sides. The compartments can be fully isolated from each other as each compartment utilizes an inlet and bleeding valve for introduction of nitrogen gas or CDA to complete purging system to reduce the moisture level down to 0%. Or the compartments can be connected to each other through some perforations between chamber dividers so they can be used with one set of inlet and bleeding valve along with a single channel automatic purge control unit. PCU or purge controller can provide automatic low-humidity control capable of measuring and displaying humidity inside the pass-through cabinets in the range: 5-100%RH. They can be ordered with an optional removable shelf. * Chrome plated racks will be added to your order when shelves are selected. Cleatech offers the best quality and lowest cost Nitrogen Desiccators. 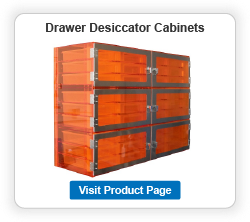 All of our low humidity storage cabinets are manufactured in Santa Ana, California. Nitrogen “N2” is served as an inert gas replacement for air where oxidation is undesirable. 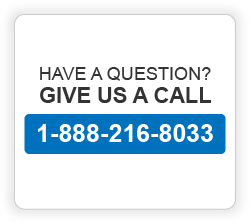 Nitrogen is the standard means for contamination-free storage chambers. N2 does not react with stored materials and it can be isolated and purified relatively economically. 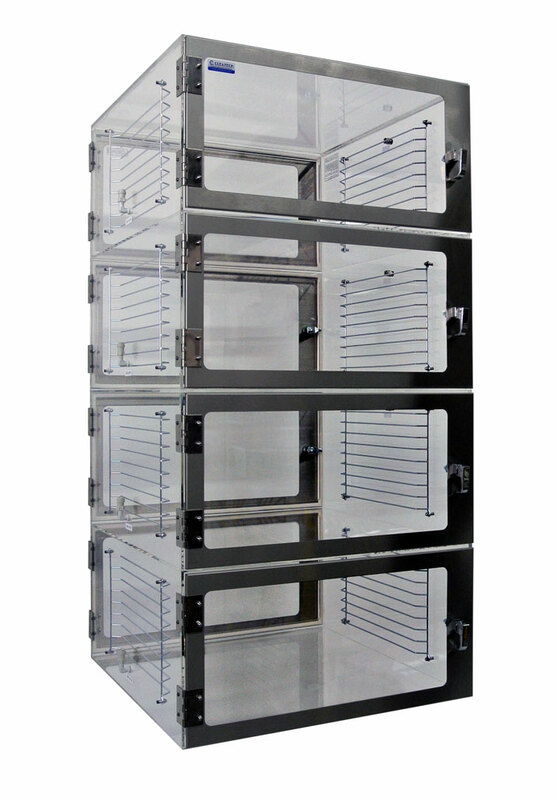 Cleatech S-1500 Nitrogen purge cabinets use a removable plenum chamber designed to provide a continuous laminar flow of nitrogen over the moisture sensitive devices (MSD) maintained within the dry storage desiccator cabinet. (see the nitrogen flow diagram in the left). 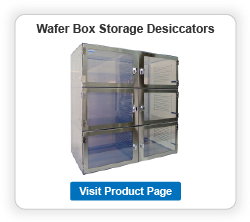 The volume of nitrogen purged depends on the volume of the storage cabinet, the moisture contained within the contents of the cabinet, the Related Humidity of the external environment and how often the desiccator cabinet is opened. Also using Cleatech’s “Automatic Nitrogen Purge System” would reduce Nitrogen Consumption to 75% in desiccators (dry boxes). 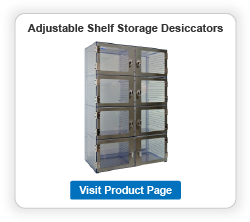 Acrylic or ESD safe PVC material on S-1500 nitrogen dry storage cabinets and desiccators perform well and of course provide a visual advantage over a stainless steel cabinet.